At Fox Kids Dentistry & Orthodontics, we believe that prevention and education are the primary foundation to good oral health. We want going to the dentist to be as routine as well-child visits with your pediatrician, or getting your hair trimmed at the barber. With dental visits every 6 months, we can watch and monitor your child’s dental growth and development. These frequent visits also allow your child to become more and more comfortable with our clinic and staff. This familiarity helps curb anxiety for both the parent and the child, as they will see familiar faces each time they visit our office. Cleaning: Includes tartar and stain removal as well as toothbrush demonstration and oral hygiene instructions catered for each child and family. Exam: The dentist will count teeth, check the status of any existing fillings and look for new cavities or tooth decay, as well as evaluate overall dental growth and development. By and large, you can expect the dentist to evaluate your child from the neck up. We will examine the jaw joint (TMJ or temporomandibular joint) and soft tissues (gums, cheeks, lips, tongue, tonsils). And lastly, we will address any areas where a child may be experiencing tooth pain or gum pain. Fluoride: We will discuss the benefits of fluoride to your child and will apply fluoride as well. We will also discuss fluoride from other sources (supplemental fluoride drops or tablets, toothpaste, etc.). Not sure about fluoride? Let us know your concerns and we will be happy to address any questions you may have. X-rays: Done on an as needed basis, but most children will have x-rays taken once every 1-2 years. The type of x-rays and also the number we need to take depends on your child’s age, dental development, and history of cavities. Sealants: Sealants help prevent cavities. They are a protective coating that gets applied to the grooves of back teeth to help prevent bacteria, plaque, and other food debris from accumulating. Teeth with deep grooves are prone to higher risk of plaque retention. If that plaque stays in those grooves long enough, it could ultimately lead to tooth decay. Guidance/counseling for dental growth and development: Going to a kids dentist for a checkup is not just about taking a current snapshot in time and seeing how things look the day you come in for a visit. It is also about planning for the future, and being prepared for what changes are going to take place next. 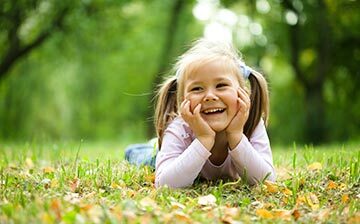 Pediatric Dentists call this anticipatory guidance, because we want to provide developmentally-appropriate information to you about your child’s growth and overall health, so families can be prepared for certain milestones. Topics include timing of tooth eruption for infants, establishing oral hygiene routines, injury prevention (for both your off-balance toddler and your daredevil teenager), habits (pacifiers, thumbs, grinding, etc. ), as well as speech and language development. Anticipatory guidance is a key element of dentistry for children. “Cavity risk” rating: It is our goal at Fox Kids Dentistry & Orthodontics to help prevent dental disease and tooth decay before it even arises. We will help to identify and minimize causes of dental cavities or gum disease (a diet with too much sugar, or heavy plaque due to inadequate brushing), while at the same time recognizing and optimizing certain protective factors (think fluoride and sealants). We will also take into consideration all of the factors that influence oral health and will create a customized dental experience so you and your family are in the best of hands. Orthodontic consultation: Does my child need braces? This is definitely one of the most commonly asked question at all dental visits. Here at Fox Kids Dentistry & Orthodontics, we’re prepared to give you the best answer we can. With visits every 6 months, we will be continually monitoring your child’s dental growth and development. We will work closely with our Orthodontist to identify if your child needs braces and when the best time is to start. Wisdom tooth consultation: What are wisdom teeth, why do they have to be removed, and when does all this happen? Wisdom teeth are the very last set of permanent molars that develop in your mouth and generally won’t need to be addressed until the late teenage years. If there is no room for wisdom teeth to grown into the mouth, impaction is the most common result instead. Impaction becomes an issue when the wisdom teeth continue to grow larger in size, but stay underneath the surface of the gums. It is at this point that these growing teeth can start to bump into other important structures, which can potentially lead to tooth pain or dental problems to the surrounding area. Your Pediatric Dentist as well as your Orthodontist will generally begin evaluating wisdom teeth once your child has reached adolescence and will help to identify if they need to be attended to. At Fox Kids Dentistry & Orthodontics, we use the latest in digital technology to capture images of your child’s teeth. Compared to the old-fashioned conventional x-rays that you had when you were a child, digital x-rays provide significantly less radiation to patients. They also allow us to snap pictures of your child’s teeth and have an instant image displayed on a computer monitor. We can then enlarge, shrink, rotate, and adjust the image as we needed to get real time, high quality x-ray readings. X-rays help us visualize cavities (as well as determine their size) in between the teeth, but are also great tools for evaluating growth of permanent teeth below the surface, infections, or any anomalies that may be present. With our parent/patient-friendly viewing stations in each treatment room, we can also show the images to patients and their parents, which helps in the dental education process. Occlusal x-rays: These are usually the first type of x-rays taken on children, and are most often done between ages 3-5. Due to the orientation in which the x-ray sensor is placed in the child’s mouth, occlusal x-rays are the most comfortable, and therefore generally the easiest to take. They also provide the dentist with an exceptional amount of information. The image displayed on occlusal x-rays shows the condition of the front baby teeth, as well as the development of the front permanent teeth. Bitewing x-rays: Bitewings show the back teeth. Most importantly, they let us know if there are cavities forming between the back teeth, something that can’t be seen from a visual exam alone until cavities get exceptionally big. Lucky for us, we work with kids all day, everyday, and we know what they don’t like. That’s why we have small and extra small x-ray sensors that are made just for kids! Bitewing x-rays are generally taken once every 1-2 years. Panoramic x-rays: These types of x-rays are done to evaluate all the teeth at once. They are a huge help to the Pediatric Dentist as they monitor dental growth and development, as well as to the Orthodontist who uses them to treatment plan braces for all orthodontic cases. Panoramic x-rays are taken about once every 5 years once the permanent teeth start to erupt. 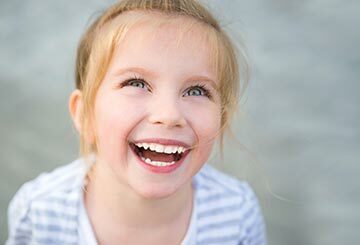 For children needing dental fillings, there are a few main types that we utilize here in our office. We will discuss the types of filling materials with you prior to the actual filling appointment and will provide to you pros and cons of each. We welcome any questions you have and are eager to hear about any concerns as well. White/tooth-colored fillings: Also known as “composite,” a white filling is a moldable material that is adapted to the tooth and hardened with a blue light. Composite fillings are used in both baby and permanent teeth. White fillings are ideal for small and medium size cavities. Silver fillings: Also known as “amalgam,” silver fillings have been around for decades and have proven to be strong and durable. Silver fillings are used more sparingly, but are often a better option for exceptionally large cavities in permanent teeth that sit in the back of the mouth. Crowns: Also known as “caps,” crowns are used to cover the entire tooth once cavities have reached a notable size or after a baby root canal has been performed. Crowns also help to protect the rest of the tooth from getting new decay. The primary types of caps we use are made of surgical stainless steel (only for back teeth), or white (primarily for front teeth). Root canals for baby teeth: Also known as “pulpotomies” or “pulpectomies,” are used to remove infections from deep inside the tooth. The process is much simpler than root canals for permanent adult teeth, as we gently clean out the inside of the tooth, lay down a layer of medicine to help prevent the spread of infection, and then cover and protect the tooth with a crown. Extractions: Whether it’s a stubborn baby tooth that won’t come out on its own (no matter how hard you’ve tried at home), teeth that need to be removed for orthodontic reasons, or infected teeth due to large cavities, our Pediatric Dentists are professionals when it comes to “wiggling” teeth out, and do their very best to make sure everyone is comfortable. A safe and effective way to reduce anxiety and can help provide a better overall experience for patients during a dental procedure. 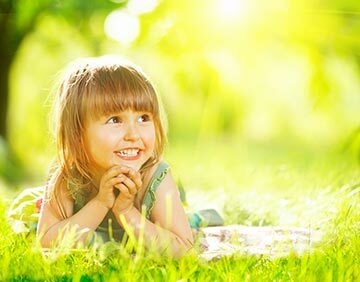 Nitrous oxide is a great way to calm patients and lessen excess movement, wiggling, and fidgeting and is very commonly used in dentistry for children. Nitrous oxide is administered through a rubber mask placed over the patient’s nose, and is combined with oxygen, so the appropriate amount can be administered to your child. Benefits include rapid onset and recovery, with virtually no side effects. It is generally well accepted by children over the age of 3 or 4. Because our role as Pediatric Dentists is to fix teeth and keep the experience as positive as possible, sometimes laughing gas and distraction through story-telling just isn’t enough, especially if a child has multiple cavities that require several visits. As an alternative approach, we offer to complete all dental work when your child is sleeping in our office with the assistance of a board-certified medical anesthesiologist. All of this happens right here in our office, which means more convenience to you and your family. It’s not on everyone’s agenda to have a baseball ball pop your 4-year old in the face, or for your 15-year old to go down that black diamond face first, but we also understand that kids are going to be kids and things happen. Whether it’s during our normal office hours or at 8:00pm on a Sunday night, we’re here for you.